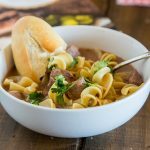 Slow Cooker Verde Chicken Pesole – a hearty and comforting soup with tons of great flavor, and it cooks in the crock pot all day! 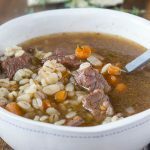 Have you ever heard of Pesole before? I had heard of it, but didn’t really know what it was. 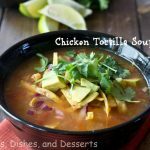 I knew it as a Mexican soup with hominy in it. But I also didn’t really know what hominy was. Apparently I am a sheltered food blogger. Well…hominy is made from corn kernels. 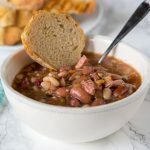 I am not a huge bean fan, and hominy looks like beans to me, so I have always stayed away from it. Well all that changed, when I had the chance to taste verde chicken pesole lately and I was blown away. I am kind of annoyed with myself for being scared to try hominy all of the years. But I plan to make up for it now! I made my version of verde chicken pesole in the slow cooker. 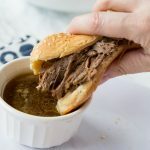 I love using my crock pot all year round, these Slow Cooker French Dip Sandwiches are one of our favorites. 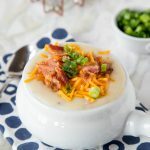 The soup cooks in the crock pot all day, so when it is time to eat you have tons of a great flavor. 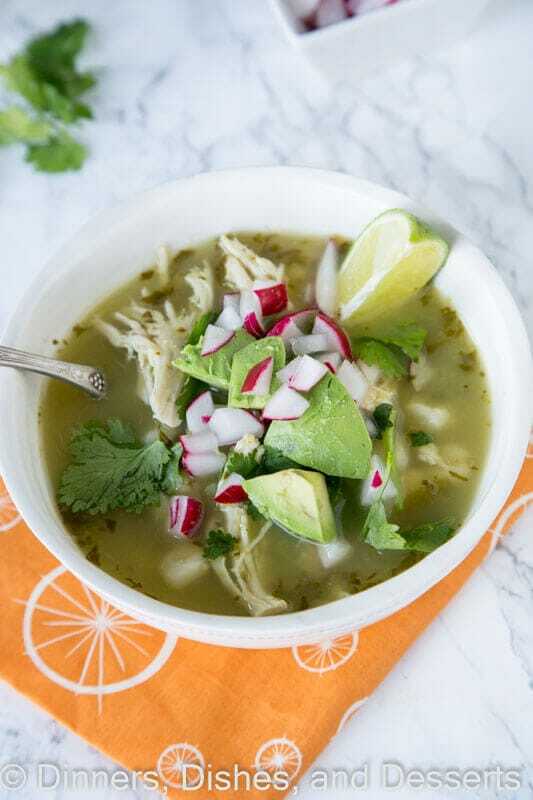 You can take a short cut and use a jar of salsa verde, like called for in this Salsa Verde Chicken Skillet recipe, instead of all the veggies and tomatillos called for in the recipe, but it will lack a little bit of depth in the flavor. I actually roasted them in the oven for about 15 minutes before blending them, and adding it to the broth. Just another bit of flavor added! The chicken slowly cooks and stays moist in the broth as it cooks. 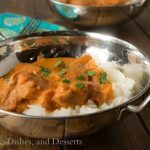 Like in this Slow Cooker Tikka Masala – the chicken stays moist when cooked in a sauce! When you add the hominy is completely up to you. Lots of people add it at the beginning and let it cook in the broth. It will start to break down and get soft if you do it that way. I chose to add mine at the end, and let it cook for just about the last hour. I think one of the highlights of slow cooker verde chicken pesole is the toppings! 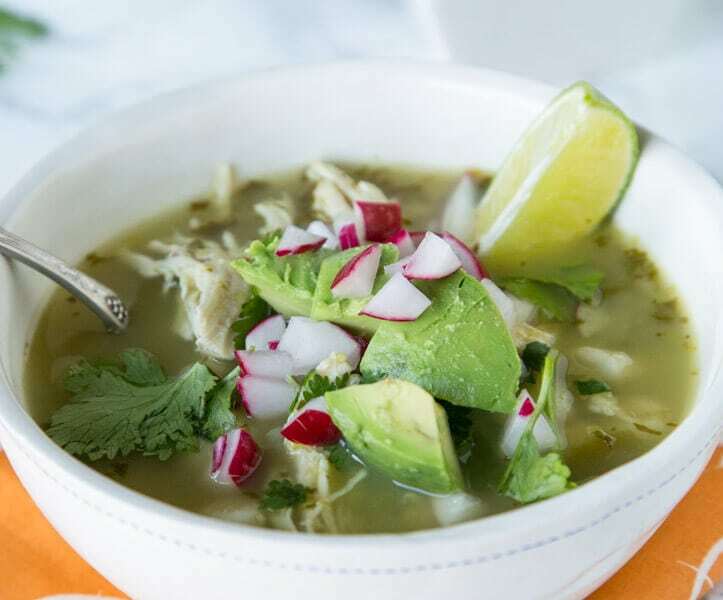 Diced avocado, radishes, cilantro, cheese…pretty much anything you want. 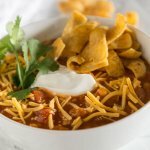 You could even crush a few tortilla chips on top for more texture. I hope you will try pesole this year, if you haven’t already. If you have been shy about it – trust me, this is what you need to convince you! And you can adjust the heat level by adding more or less jalapenos! So it is perfect for the whole family. 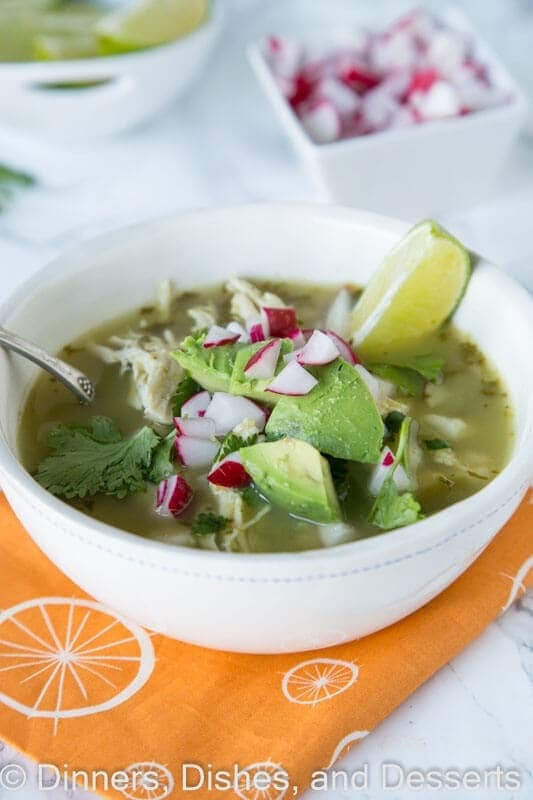 This Pozole Rojo is another Mexican soup that uses hominy – I can’t wait to try it! 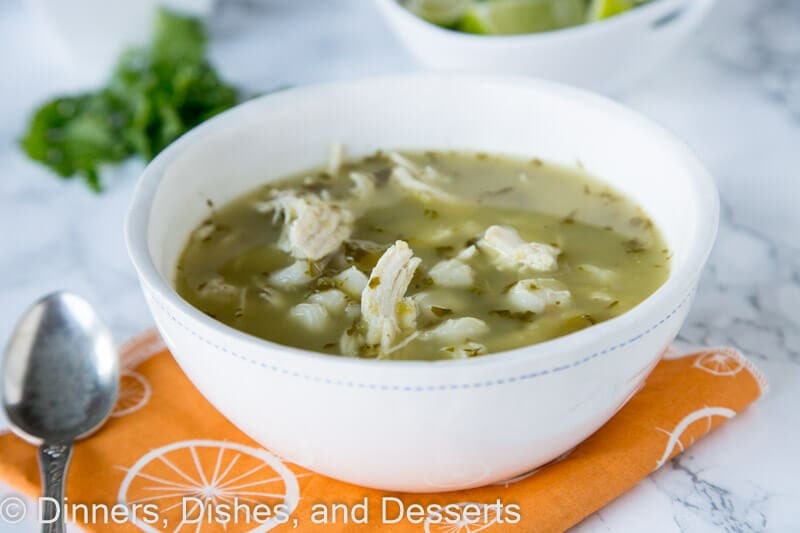 Slow Cooker Verde Chicken Pesole - a hearty and comforting soup with tons of great flavor, and it cooks in the crock pot all day! Preheat oven to 425. Place poblanos, tomatillos, and jalapenos on a taking tray. Toss with olive oil and salt and pepper. 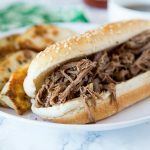 Roast for 15-20 minutes until lightly charred. In a blender combine roasted peppers, cilantro and oregano - process until smooth. 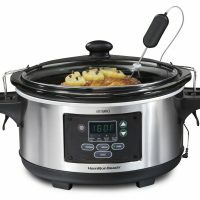 To a slow cooker add chicken, chicken broth, and mixture from blender. Cover, cook on low for 5-6 hours. Remove chicken to shred. 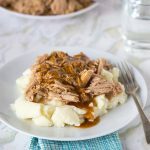 Add shredded chicken and hominy to the back to the slow cooker. Cook for 1-2 more hours until ready to serve. Love chicken and this dish look very delicious. right I was going to post that too.. In NM where the dish originated not with Mexicans but with the Indians it is Posole everywhere and that is how it is spelled on restaurant menus. I would love to try making this but several ingredients are not available in the UK, or not locally anyway. I’ve never seen poblano peppers, tomatillos or hominy, canned or otherwise. What could I substitute? 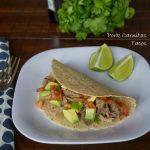 Do you have salsa verde (or any type of green salsa you can buy) – you could use a jar of that in place of the poblanos, tomatillos and other veggies that get mixed together. You are basically just making a green salsa to flavor the soup. 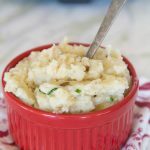 Hominy is a corn product, so you may just use corn, but it would change the flavor a little. You could use white beans too just to bulk it up.